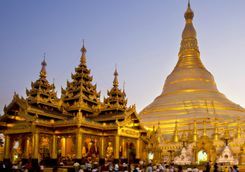 Participate in amazing activities on this Myanmar adventure. 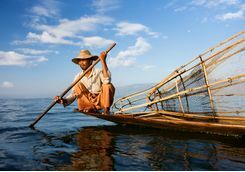 Kayak across lakes, cycle through tea plantations and hill trek around stunning Lake Inle. 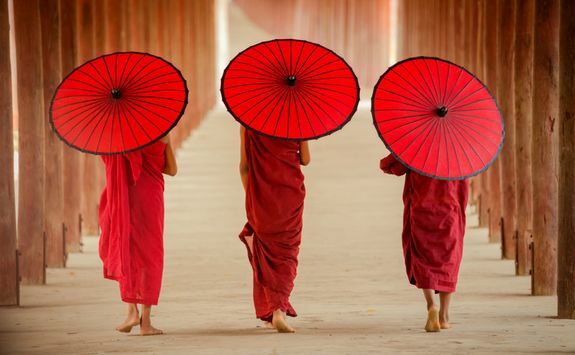 Learn Vipassana meditation methods from a Buddhist monk, ride motorcycle pillion through Mandalay, take a sunset river cruise then hit the beach on an island paradise. 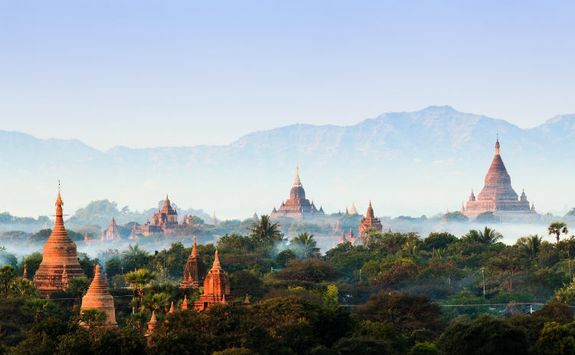 Start your Myanmar adventure this afternoon by jetting off from the UK to the exotic city of Mandalay. It's an overnight flight to Bangkok and then on to Mandalay with the first flight taking 11-and-a-half-hours. 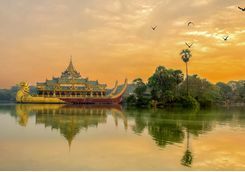 The flight arrives in to Bangkok at breakfast time and you then connect across to the two-hour onward flight to Mandalay, arriving at lunchtime. Your chauffeur will be waiting in arrivals to take you on the one-hour journey to your luxury hotel. Check-in, freshen up, and have lunch before it's time to go exploring. 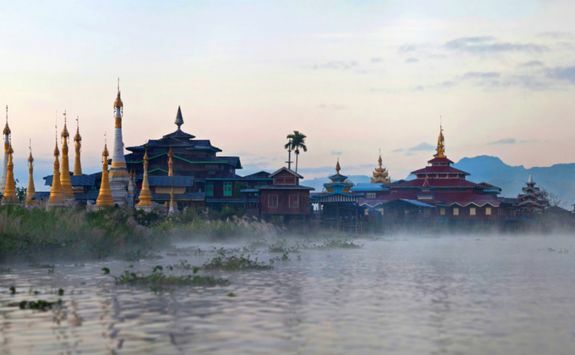 Discover the city's buzz on a half-day guided tour of Mandalay. 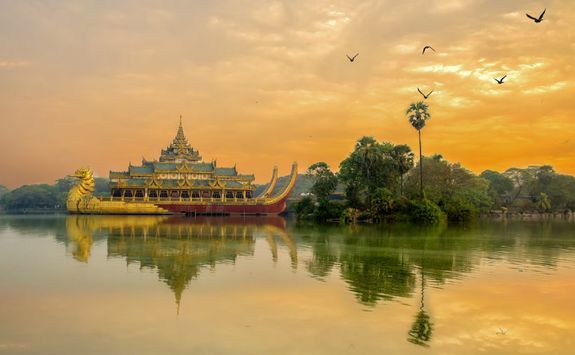 Highlights include the sheer size of the gigantic gold Buddha at the Mahamuni Pagoda, and spotting Buddhist monks in their iconic robes when you explore the temple grounds. The best way to combat jet lag is to adapt to local time as fast as possible so this evening don your helmet and ride pillion into the night on a motorcycle driven by a professional driver/guide. 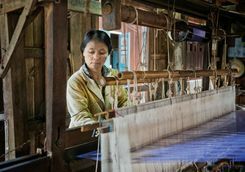 Weave through the traffic, around the Mandalay Palace moat, past the illuminated Kyauk Taw Gyi Pagoda to a bustling night market. 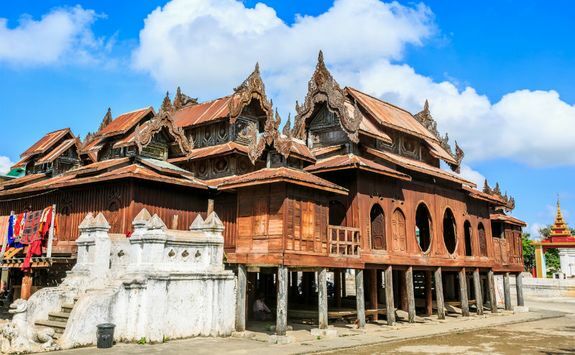 Wander round the stalls before continuing on to a local Mandalay beer station for dinner. Choose how to end your evening. Either have a sing-a-long at the fun BoB Karaoke, join the Moustache Brothers for some garage comedy or watch the Daw Ma Ma Naing marionette show before returning to the hotel. 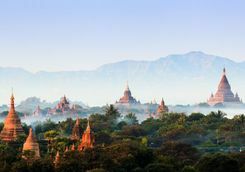 Enjoy an early breakfast before heading out on a full-day private guided tour to three of Myanmar's ancient cities, all within easy reach of Mandalay. 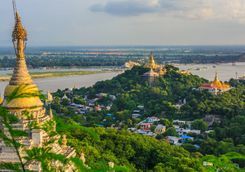 Explore the temple adorned Sagaing Hill before visiting a silver and handicrafts market in the town. 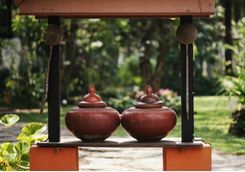 Then discover how the Burmese waterpots are made at a local village. 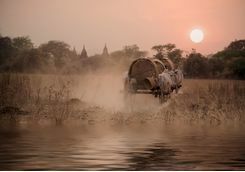 In Ava, after a short ferry ride across the river, a horse-drawn cart will take you, local style, around the villages which have sprung up among the ruins. 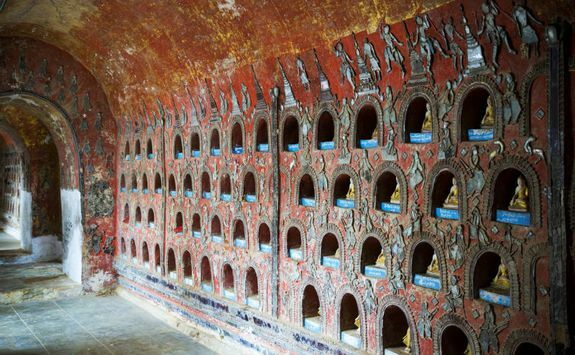 You'll have time to marvel at the intricately carved Bagaya Monastery and the Royal Palace and Fort before lunch. 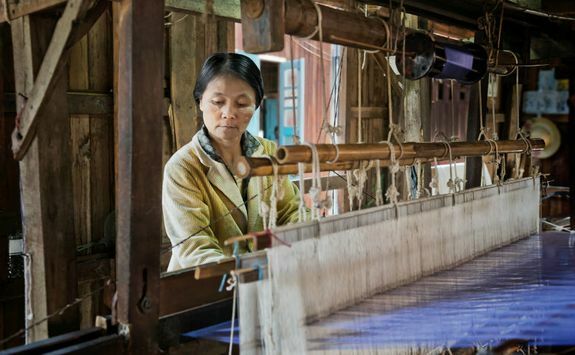 In Amarapura, watch silk weavers practising their craft before strolling over the iconic three-quarter-mile wooden U Bein Bridge, which spans beautiful Lake Taungthaman. 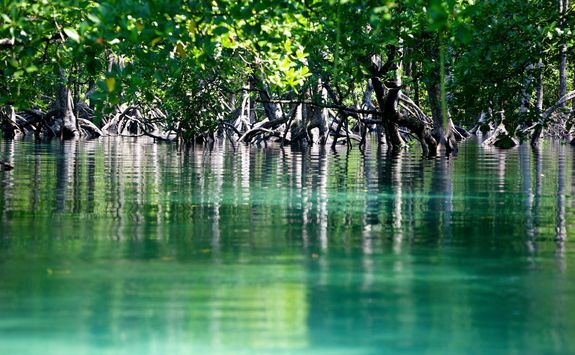 It was constructed over a hundred and fifty years ago, so don't be surprised when the timbers creak! Enjoy a leisurely evening back at the hotel, or ask for a restaurant recommendation for supper from our dedicated local Concierge, who can also book a table in advance. 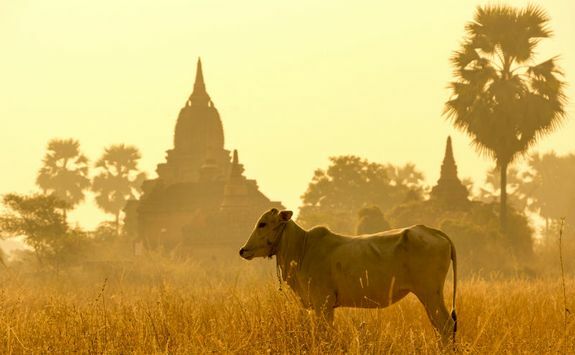 After breakfast, you'll be driven to the airport to catch a half-an-hour domestic flight to Bagan. You'll be met at Bagan Airport and transferred to the next amazing hotel we've chosen for you. 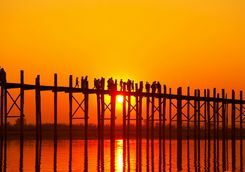 Once you've checked in, enjoy the rest of the day to yourself until it's time to leave for a sunset cruise along the Irrawaddy River. 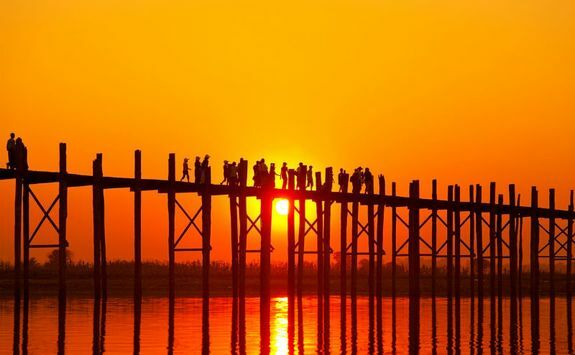 Watch local fishermen casting their nets as the setting sun turns the water golden. 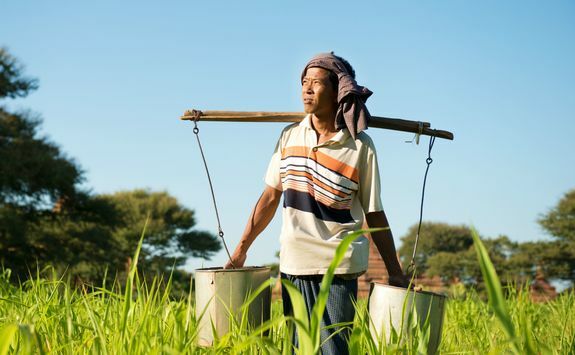 See riverside villages and farmer's carts pulled by oxen. 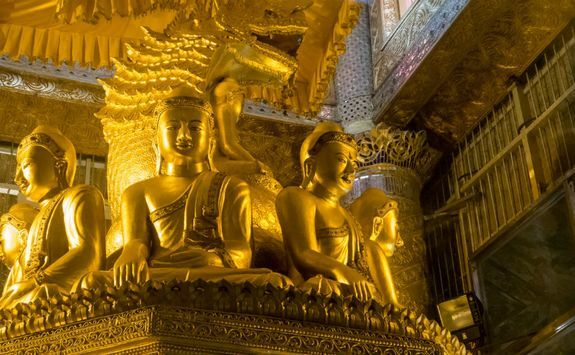 Moor up and explore deserted, pagoda-style temples before visiting the awe-inspiring, gold domed Shwezigon Pagoda, one of the most elaborate Buddhist temples in Myanmar. 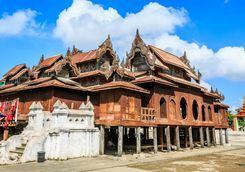 After an evening visit to the Thanakha Museum, to discover the role wood has played in the lives of the Myanmar people, you'll join the busy throng of locals at a typical night market. 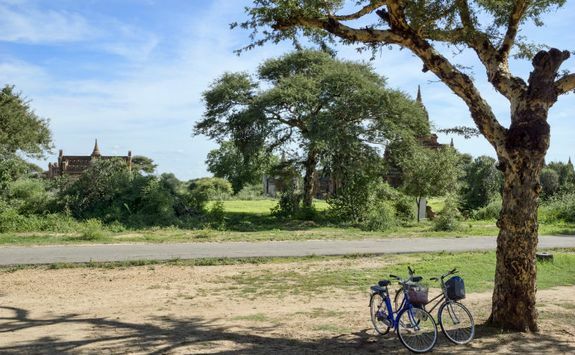 Make sure you have a hearty breakfast because this morning you'll be going on a guided cycling tour of Bagan, setting off into the countryside where you'll cycle through rural villages and Bagan farmland. 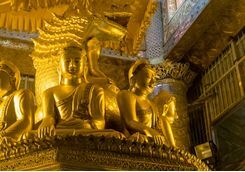 Give your legs a rest with stops at the Dhammayangyi and Ananda temples before putting the brakes on for a visit to one of the traditional villages and a chance to mingle with the locals. Then cycle back to the hotel where you'll be able to enjoy the afternoon by the pool. 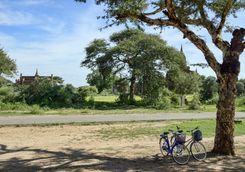 NB: Electric cycles are available but they're not best suited to some of the more rural tracks you'll be cycling along. 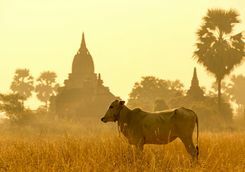 Enjoy breakfast at the hotel before being driven to Bagan Airport to catch a forty-minute flight to Heho. 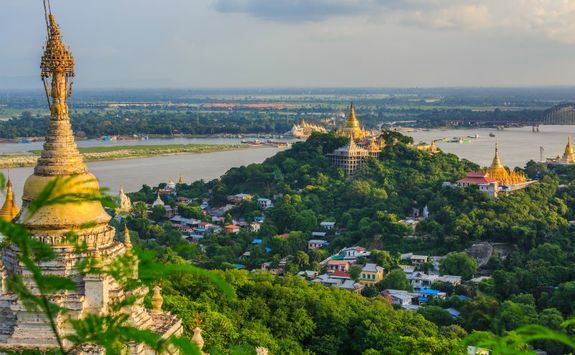 Take in the stunning scenery and pay a visit to the Shwe Yan Pyay Monastery on the 45-minute drive from Heho Airport to the waterside town of Nyaung Shwe. 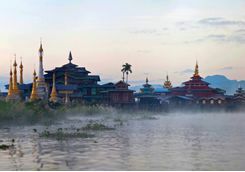 You'll have time to explore Nyaung Shwe a little or visit the local street market before going down to the jetty to catch the boat across Lake Inle to your hotel. Check-in, then chill out for the rest of the day in this amazing lakefront location. 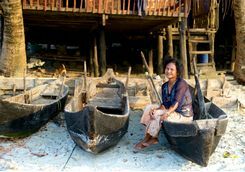 Once breakfast is over, there'll be a boat waiting at the hotel jetty to take you to the village of Kyae Sar Gone where you'll meet up with your kayak instructor. 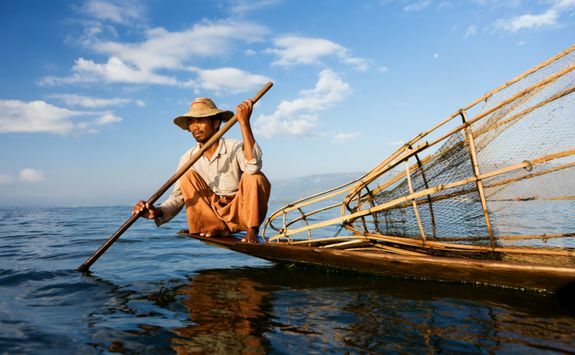 After you've had the low-down on how to paddle, you'll be ready to hit the waters of Lake Inle. 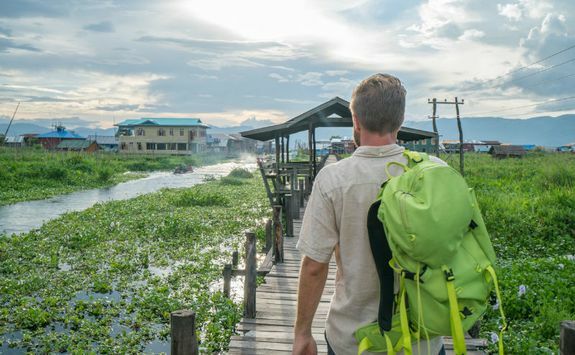 Spend a couple of hours navigating through the canals lined with buildings on stilts and weaving around Lake Inle's incredible floating gardens before giving your biceps a break from paddling with a stop at a village tea house. Suitably refreshed, you'll row through the village of Lin Kin to the monastery where a boat will be waiting to return you to the hotel. Enjoy some free time in the afternoon/evening or set off to explore on your own. 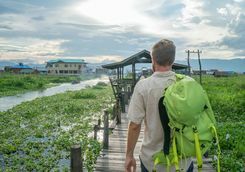 Put your walking shoes on because, after breakfast, you'll be taking the short boat ride back to Nyaung Shwe where an experienced guide will be waiting to take you trekking. 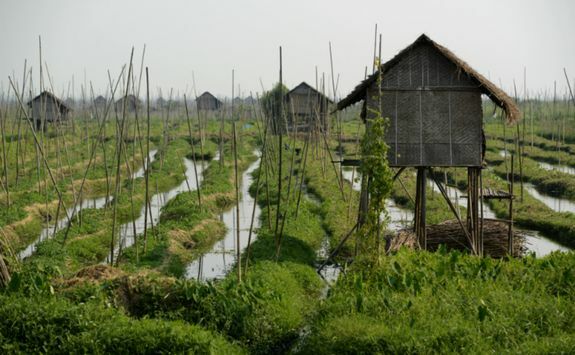 After a brief drive, you'll be in the hills around Lake Inle. 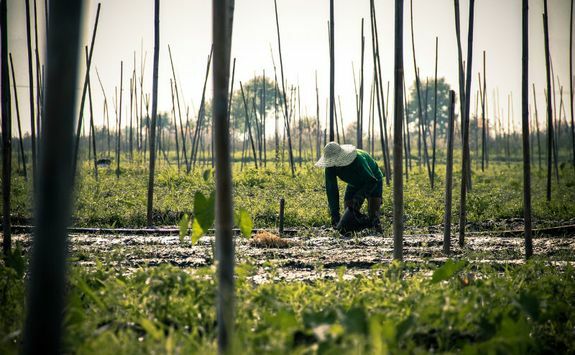 There, you'll leave the vehicle behind and set off on winding trails through tea plantations and fields where agricultural labourers are working. 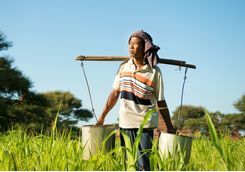 You'll hike through rural villages and discover how each has its own unique identity as well as stopping for a tasty lunch prepared by one of the villagers. 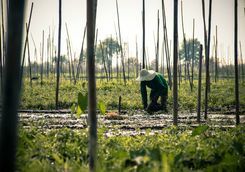 You'll spend the afternoon walking through the stunning countryside before returning to Nyaung Shwe and catching the boat back to the hotel. Yes, you'll be tired, but the fatigue will disappear when you look back through the Insta-able photos you've snapped. 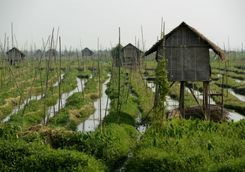 After breakfast it's time to leave Lake Inle. 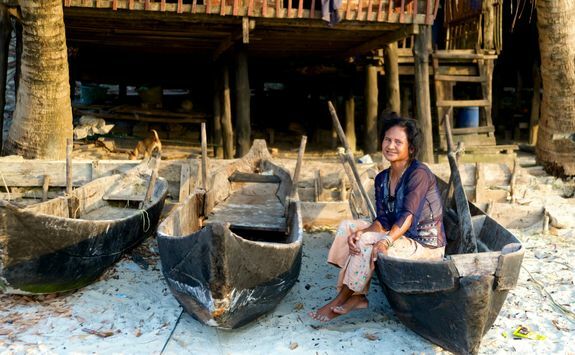 Make the boat crossing back to Nyaung Shwe and then transfer back to Heho Airport for the hour-long flight to Yangon. 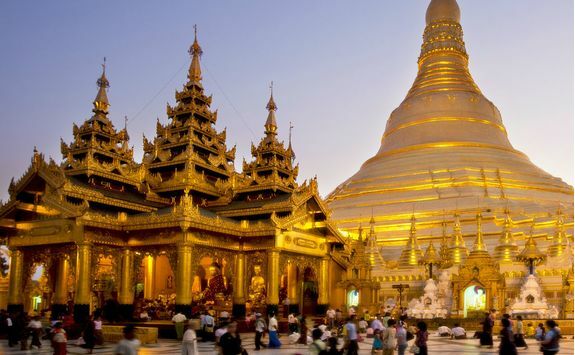 You'll be met by your chauffeur and be taken to the elegant hotel we've chosen for you in Yangon. 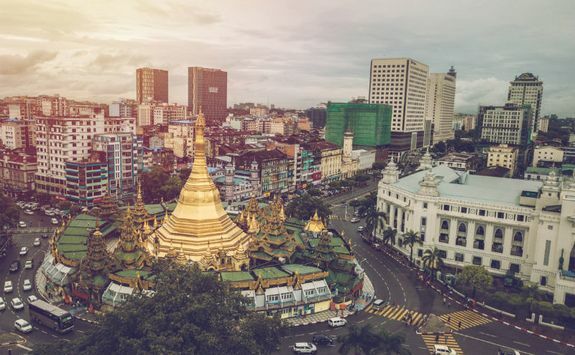 Check-in, relax or spend time exploring until early evening when it'll be time for sky-high cocktails in the Yangon Yangon (so good they named it twice) rooftop bar in the Sakura Tower. 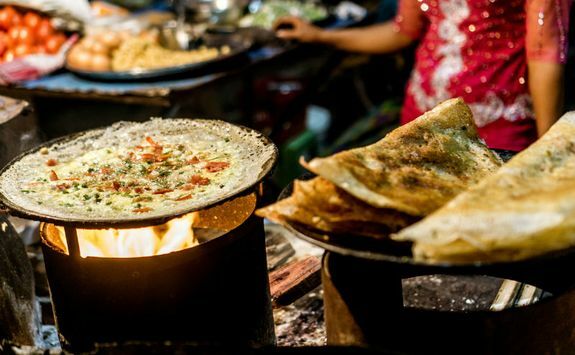 Take in the panoramic views over the salt/sugar-coated rim of your cocktail glass before catching the lift down and jumping into the rickshaw which will transport you between your three different dining venues this evening. 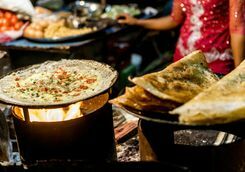 You'll try traditional Burmese cuisine at an excellent local restaurant that doubles as an antiques gallery. Next it's on to a restaurant famed for its curries before pudding and your herbal infusion of choice (or another cocktail) at the fun Rangoon Tea House. 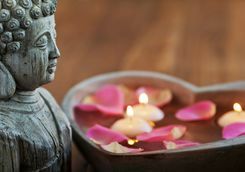 Go to bed happy and full. Be prepared for a fascinating day. 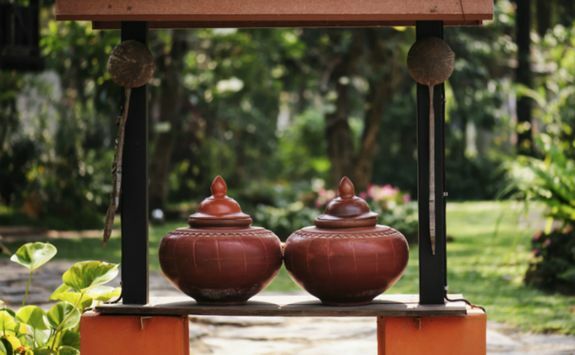 After breakfast, you'll visit the Mahasi Meditation Centre to get an insight into the Vipassana meditational methods. 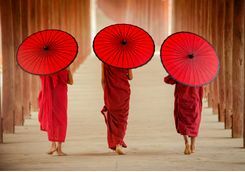 You'll meet with two monks and learn about the importance of meditation to those who follow the Buddhist religion, as well as receiving instructions on their techniques. 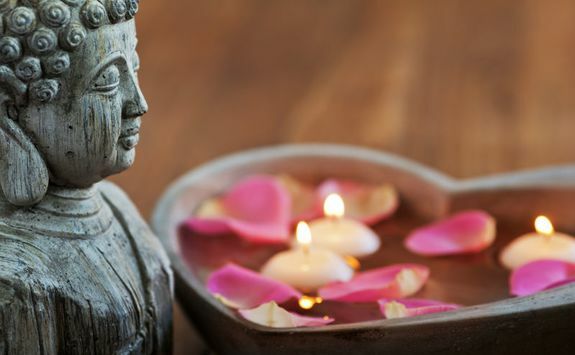 You'll have the chance to put your new knowledge into practice in the meditation hall before returning to the hotel spiritually refreshed. 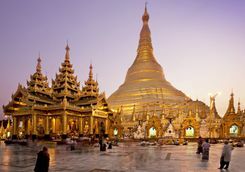 This afternoon you can relax (or further realign your chakras) until it's time to leave for the evening's guided tour of the Shwedagon Pagoda. 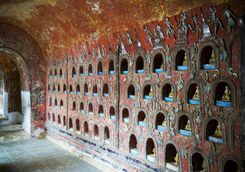 The 2,500-year-old temple, with its gilded stupa reputed to house strands of Buddha's hair, is beautifully illuminated at night. 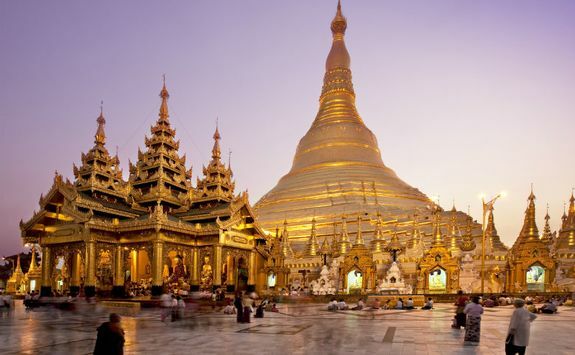 Wave goodbye to the pagodas of Yangon on your way to the airport to catch your plane to Kawthuang. 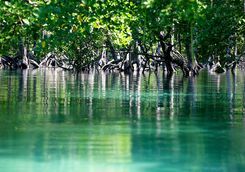 The flight to the Mergui Archipelago takes around two-and-a-half hours. You could try spotting the island you're going to through the plane window, but as there's about eight hundred to choose from it might prove quite tricky. 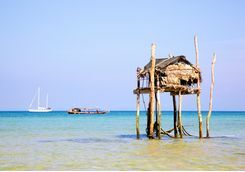 It's just a 15-minute drive from Kawthuang Airport to the jetty where you'll catch the ferry to the Lampi Marine National Park where your luxury island resort is located. 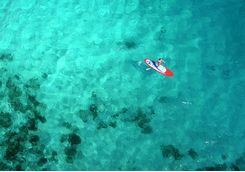 It's a two-hour voyage, so sit back, relax and make the most of the sunshine and scenery until you arrive at Wa Ale Island where you'll be able to enjoy three glorious days of indulgent luxury in this idyllic beach location. 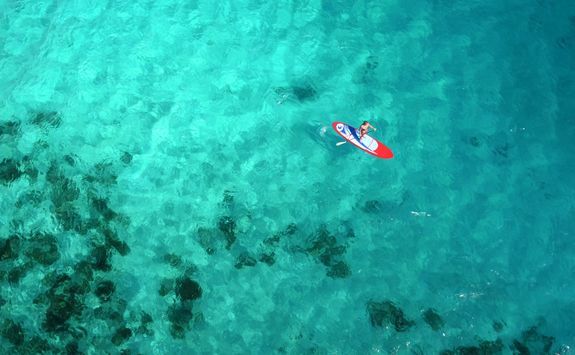 Enjoy a couple of days where you can lie back and do very little at all, or explore more of Wa Ale island on snorkelling and diving expeditions to local reefs, kayak or paddle board excursions through mangroves and walks along well-marked trails through the island's jungle interior. One particular highlight is a visit the Lampi Marine Foundation to learn about turtle conservation. 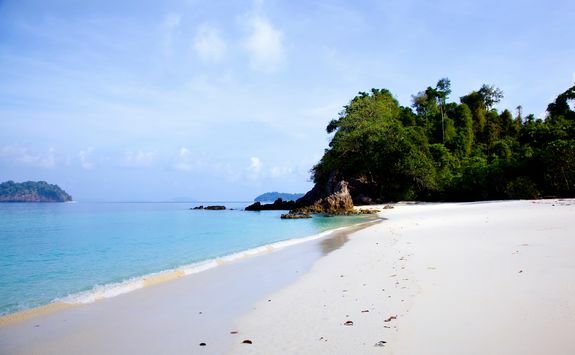 It'll be a wrench to leave the Mergui Peninsula, but your flight won't wait. 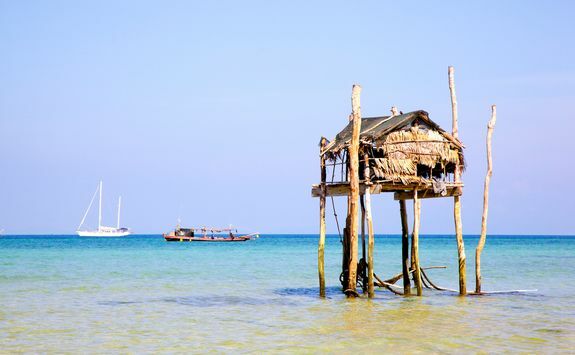 You'll cruise back to the jetty in Kawthuang then be driven to the airport. 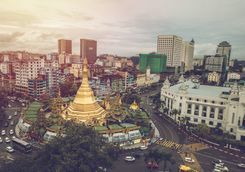 At Kawthuang Airport, you'll catch your flight to Yangon Airport where you'll take an onward connecting to Singapore for your onward overnight flight to London, or to Bangkok if you're really not ready to return home. 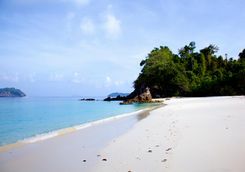 We can arrange to extend your trip so it includes a visit to Thailand.